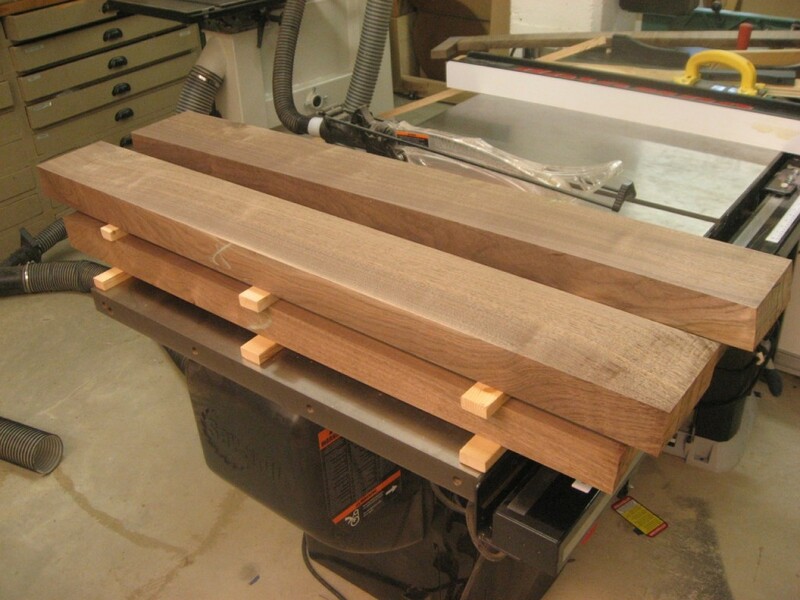 After creating the full size templates, I picked the grain from pieces of my crotch walnut. 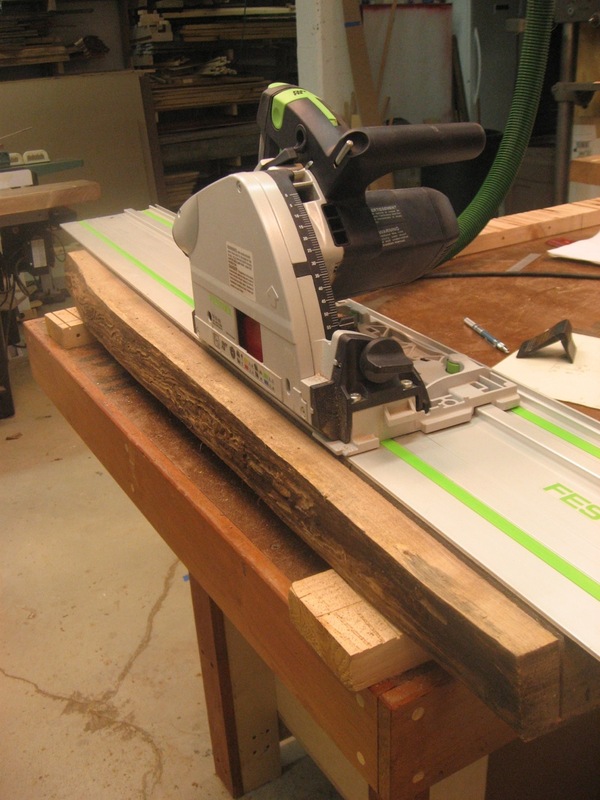 It”s then easy to break down the stock using my Festool TS55 (once again!). Stickered and stacked to acclimate after being ripped from much larger pieces.